Having a positive outlook and smiling and connecting with other people each day can give you a pretty awesome feeling. When you are feeling down or you aren’t feeling too confident in your abilities, it can always be really difficult to show off your smile and to remember how awesome that you are. Whenever you are starting to feel this way and you need some inspiration to smile remember just how awesome that you are and you will find yourself smiling pretty quickly. Think back to some of your achievements and accomplishments that you have made and draw inspiration from this past success to help you to smile and share happiness with other people. Unfortunately there are a lot of people who forget just how awesome they are on a daily basis. This can lead to difficulty smiling, having confidence and finally even overcoming challenges in life. It can be difficult in this position to overcome challenges in life and to show off your smile to the world. 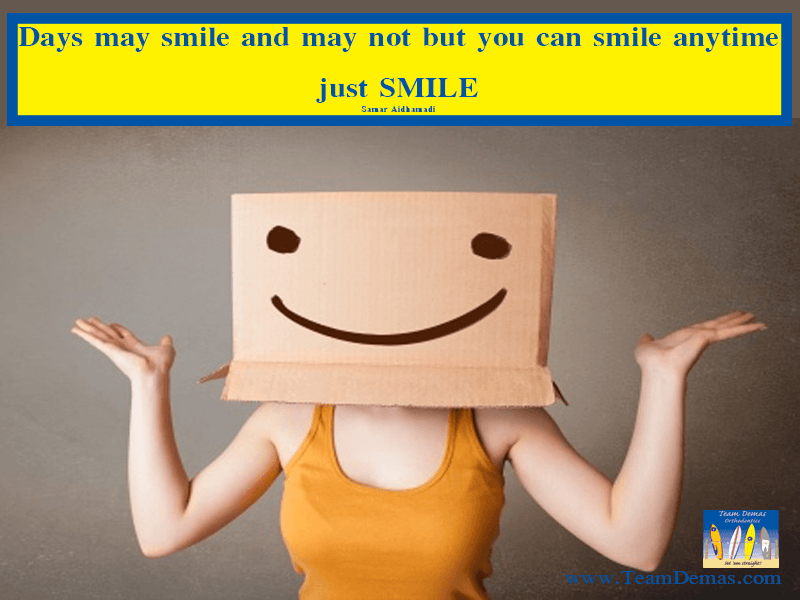 If you know you are awesome and have trouble showing off your smile, we can help you to be even more awesome and to show it off to the whole world. Contact Team Demas Orthodontics if you need help achieving your perfect smile.